“Anybody who works in further education (FE) in 2016 will be only too aware of the focus on English and maths. As the Director of a school of art and design with over 400 FE students, I often feel that a huge part of my and my team’s working life is taken over by chasing attendance and achievement in Functional Skills and GCSE. Our funding depends on it, the shadow of Ofsted looms over it, and our overall quality seems to be determined by it. In short, it’s a big deal…a really big deal! I hear a lot of negativity from parts of the sector, some students and even parents. Let us take a step back though…before this drive we had students leaving education without a chance to improve their English and maths skills or grades. In fact, there was a culture where English and maths were even seen as something totally unconnected to art and design. However, I believe that if approached with an open mind and positive ambitions, the change can improve the quality of education and, in turn, the futures for our students. The changes over the past few years have made us think, pushed us to revaluate how we deliver our programmes and construct our timetable. It has been a challenge to say the least. In our Art School at West Suffolk College, we have embraced the change and raised standards of technical and creative skills as a result. Mathematical drawings are influencing and informing our students’ 3D assignments. 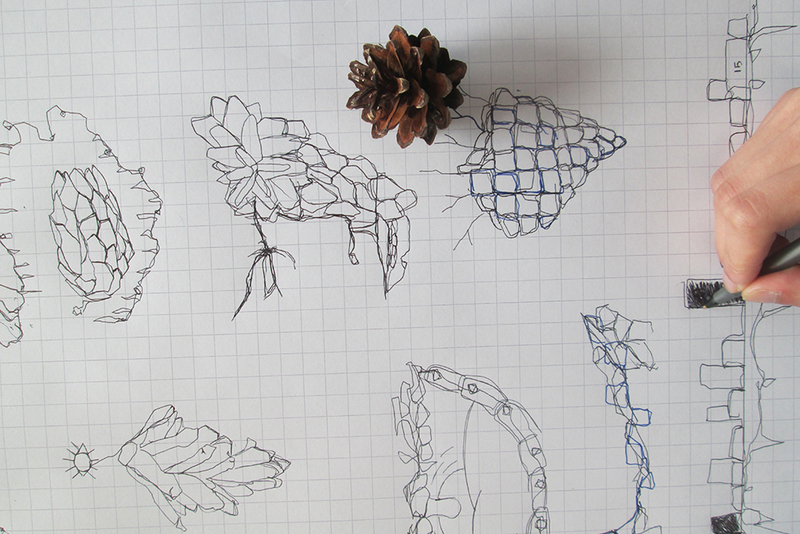 One exercise involves mapping fir cones according to the Fibonacci sequence, then measuring the geography of the subsequent drawing through a study of coastline fractals using dividers made with cocktail sticks and liquorish strips. The work of mathematician Benoît Mandelbrot (1967) is a wonderful contextual reference for this and the resulting designs become powerful building block for architectural concepts. The process involves demanding mathematical systems – but it is genuinely loved by our students.